Steeped in history, developing the future. Mare is one of the largest privately owned and European based manufacturers and suppliers of chemical solutions in the market today. Mare was founded in 1979, although its roots can be traced as far back as the earliest part of the 20th century. Since its conception, the company has grown both organically and through acquisition. Mare now manufacturers over 220,000 tonnes of products each year, placing itself as the leading manufacturer of high quality functional chemicals. From Paper and Board to manufacturing as a whole. 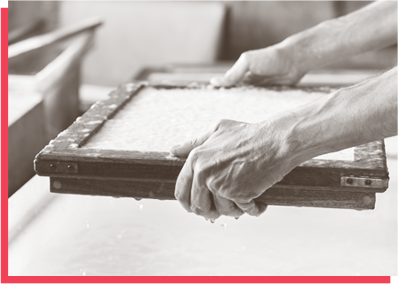 At its point of conception, Mare was founded on the supply of functional products for use in the production of Paper and Board. This specialist area of manufacturing remains of huge importance to the Mare Group. Through strategic expansion, Mare now plays a leading role in many other industries including Construction, Textiles, Minerals and Coatings, and Detergents. Production changed in the 1930’s, to include emulsions based on reinforced resinic acids. In the 1960’s, a new generation of synthetic sizing agents was developed in our laboratories, enhancing and extending the existing line of increasingly sophisticated natural sizes. Building on this heritage of knowledge and innovation, Mare Spa was founded in 1979. Our Commitment: We are committed to offering our customers tailor-made services, providing innovative products of the highest quality, while offering very competitive prices. We are also dedicated to maintaining the highest environmental and safety standards within the construction and operation of our production facilities. Mare’s headquarters and primary Research and Development facilities are located in Ossona, near Milan, which is also home to the largest of Mare’s production facilities. Further production plants are in Kilafors (Sweden), Düren (Germany), Niklasdorf (Austria), Millesimo and Verdi (also Italy). To support our customers, Mare has business units throughout the whole of Europe. Over 90% of products supplied by Mare are produced by Mare. As you would expect from a leading company, Mare are registered with and comply to the requirements of UNI EN ISO 18001 (Safety), UNI EN ISO 14001 (Environment) and UNI EN ISO 9001 (Quality). As part of our continued drive to increase sustainability, the Ossona plant was recently fitted with an extensive solar energy system that now provides the entire plant with over 20% of its energy requirement. Mare meet all the chemical requirements for the traditional and modern manufactures but what makes Mare unique is its people. For example, in the Paper and Board division there is over 500 years experience in that industry alone.